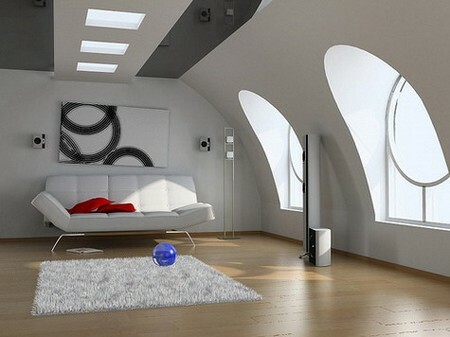 Most people have loft spaces that they don’t fully utilize. In fact, it can be turned into a storage space or functional living space. Any modifications to your home should increase its aesthetic value and salability and this includes the attic area. Not all spaces can be converted due to safety and dimension reasons, and the local planning restrictions. However, an extension of the space above is definitely worth considering because the benefits outweigh the initial cost of building. For comfortable living, the space should be at least 7 feet in height. It can be used as a room or office, and the possibilities are just endless. The first tip on how to build a loft attic is to observe the roof- if strong, rafters extend without interruption to the roof, then the space is suitable for conversion. If it is built with trusses, it may be difficult for you to raise the roof. In this case, talk to an architect and see whether the extension plan is still viable. AS mentioned earlier, the height of the space should be about 7 feet. This is the ideal height after renovation, which includes floor joints, ceiling etc. Safety should always be your priority. To secure the walking space, cover the exposed floor joints with wood panel. Ensure that the joints are strong enough to support whatever activity carried out up here later on. More often than not, the floors are built as roof for the room below, and not meant for walking. Before you go on, have a professional architect assess whether the foundations and walls have what it takes to support the weight. Bear in mind that there are regulations when you convert the space. There should be a safety route out as a precaution against fire. Usually, the window is used for such purpose. This is especially important if you are converting the space into a bedroom. Other important considerations when planning the layout of your space include the location of dormer windows, wiring, lighting, insulation, ventilation and water pressure (if included). All of these should be considered because they might affect your permit application and approval for renovation. They also determine the quality of space that you are getting after the conversion. Indeed, there are a lot of points to think through when you decide to create this space. However, this will be a beneficial investment in the long run, as you see an increase in your property value. These are general reminders of the things to note when you learn how to build a loft attic. Happy building!